Austin grew up playing multiple sports as a kid and was always active. As he got older, he became more interested in working out and getting in better shape. 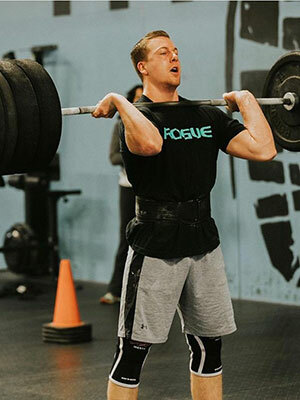 In September of 2011, a buddy of his introduced him to CrossFit and Austin fell in love with the functional fitness program. In August 2016, Austin decided to move to West Chester to finish his degree in Exercise Science at WCU and joined CrossFit Explode. Austin felt at home right away and in January of 2017, he joined the Explode family as a coach.